Congratulations to our newly commissioned Extraordinary Ministers of Holy Communion! Royalmont Academy teams competed extremely well this Fall Season. So many of our students reached new highs in their sport. Two of our teams were extremely blessed this year. Junior High Girls are GCCYS Volleyball Champions! Boys Varsity Cross Country OVCC Conference Champs! 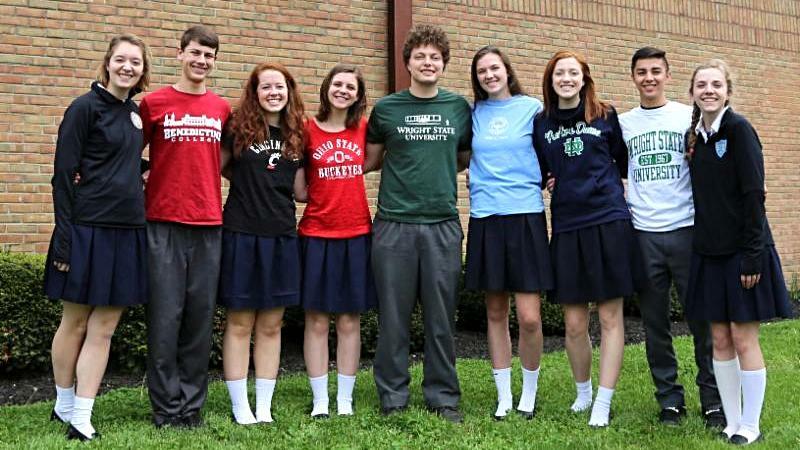 Our 2018 seniors are attending Marian University, Benedictine College, Ave Maria University, University of Cincinnati, Ohio State University, Wright State University, Galen College of Nursing, University of Notre Dame, and University of Toledo! Congratulations! Freshman, Jeremy Vacca, places 1st and 4th in competition at the Ohio Junior Classical League Fall Forum (OJCL). This is a one day, mini-state convention, where schools from all over Ohio came together to study the classics. On Saturday,111 students from 11 schools had the opportunity to meet several college professors and compete with their peers from other schools. 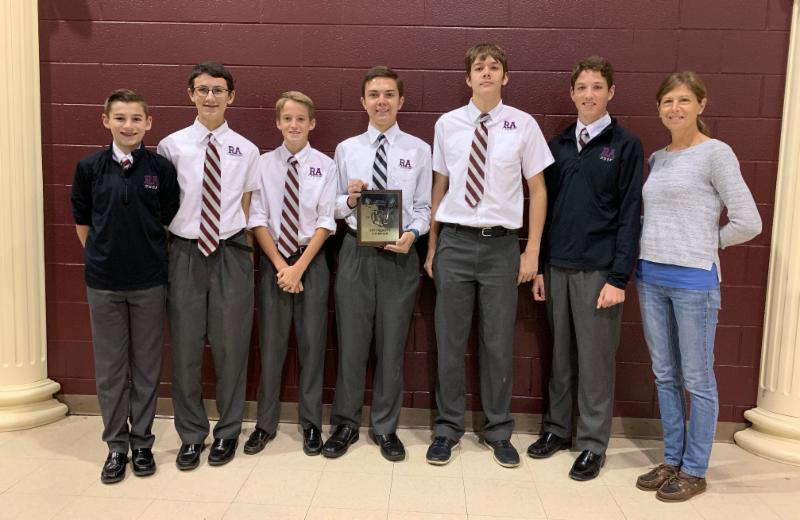 They competed in Certamen, Latin testing, a role playing game of the war between Athens and Sparta, Latin and English reading presentations, and creative art activities. The OCC had professors from Ohio University, Marshall University, Case Western Reserve, Denison University, American Classic League and Wyoming HS speaking on multiple topics. Anyone in the OCC and all teachers were welcomed at the OCC track. A lecturer from Ohio University spoke to all the students and teachers on the Pantheon and one professor from Marshall University led the role playing game. It was a great opportunity to reinforce classical studies, compete with other students, and meet professors from universities with classical study programs.We are blessed to have the national convention this summer held locally at Miami University. 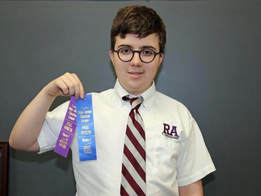 Jeremy placed first in Certamen and fourth in the Latin Reading Intermediate (Level 2) competitions. We were extremely proud that he did so well at the statewide competition. 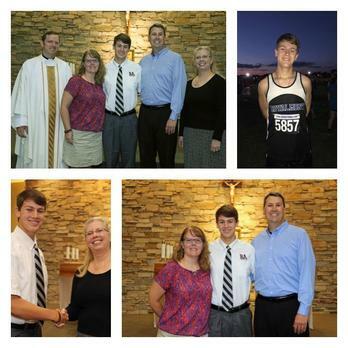 Royalmont Academy proudly celebrates Matt Conner who was named a National Merit Semifinalist. This honor is the result of his excellent score on the PSAT qualifying test offered to High School Juniors each October. He will compete for National Merit Scholarships that will be announced in the spring. Many of the regions semifinalists will be named finalists in February. That makes them eligible for $2,500 scholarships awarded by National Merit and other scholarships awarded to semifinalists by colleges, universities and businesses. It is with extreme pleasure we welcome Veronica Murphy as the new Head of School for Royalmont Academy. Her acceptance concludes a six month national search and is effective July 1, 2017. Murphy comes from Purcell Marian (PM) where she has been serving as their Principal/CEO since 2013. She brings 24 years of childhood education and supervision to Royalmont Academy. Murphy, a lifelong Catholic educator, is noted for leading 55 staff members through a change to blended learning environments and implementing major technology upgrades throughout the school. She also brought SportsLeader to the athletics program and led the remodeling of three wings of the school to support new teaching structures. 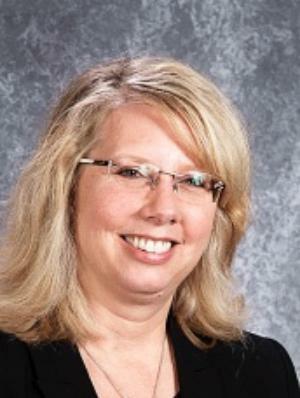 Overall, she administered four academic programs to serve the spectrum of student abilities at Purcell Marian. Murphy also implemented a staff and student spiritual formation process, instituting School of Faith (https://schooloffaith.com/cincinnati-metro-area) and the Marianist Integration Plan (http://www.marianist.com/files/2011/11/Responsibilties-of-MIT-and-Chairperson.pdf). Murphy’s education experience began by teaching music and art at St. Rita School in Dayton. That soon expanded to teaching religion and earning a Master of Theological Studies. After a successful term as Technology Coordinator, writing grants for technology, equipping labs, and helping teachers find solutions, Murphy was promoted to vice-principal. That position involved maintaining the Catholic identity of St. Rita’s, overseeing the school curriculum, evaluating teachers, implementing the discipline plan, and developing a crisis management plan. We know all of you will share in our excitement as we welcome Mrs. Murphy to our school. We ask you to continue to pray for Royalmont and may the Lord continue to bless all of our families. In conjunction with the City of Mason, Royalmont Academy Classical Preparatory High School students will honor the victims of 911 on Monday, September 12, 2016. Beginning at 12: 15 p.m., Royalmont high school students and faculty will begin walking from the school to the City of Mason’s 9/11 Memorial Presentation at Mason High School Auditorium. Forty-six students, along with faculty, will walk up Kings Mills Road, turn onto Main Street and then proceed to the auditorium via Mason-Montgomery Road. Royalmont’s educational focus is based on an Integral approach to education: Human, Intellectual, Spiritual and Apostolic. The school’s mission: Bringing souls to Christ while forming Christian Leaders, is at the forefront. Aimed to fulfill the school’s Integral, four pillared approach, students will pray a rosary in remembrance of those who lost their lives, for their families and for the future of our country. “15 years ago, I wasn’t even born, but I know how important this day is because of what I’ve read, been told and how it’s shaped our country. I am honored to be able to hear from a survivor and know what it was like that September morning,” said high school freshman Kaitrin Weber. In addition, Mason’s Subway stores and Royalmont have teamed up to designate Monday, September 12, 2016 as Give Back to Royalmont. The school in turn, will take all proceeds from the day and donate them to the city of Mason’s 9/11 Memorial in honor of all of the victims and their families. Royalmont invites all members of the community to join them in their remembrance walk and to dine at any Mason Subway on Monday, September 12, 2016. ​Congratulations to Sylvia Ferraro for receiving a PERFECT score on the 2016 National Latin Exam. 929 students out of over 140,000 who participated had a perfect score. ​Congratulations to Jessica Gerkin for receiving a PERFECT score on the 2016 Introduction to Latin National Latin Exam. 747 students out of over 22,200 who participated had a perfect score. Congratulations to the Royalmont Academy Track team for an outstanding season. Our athletes competed in fantastic fashion to finish the season. For the second year in a row the boys 5-6 team has won the CYO Division 2 City Championships Meet. Our 7-8 girls team came in sixth and boys team can in fourth. Thanks to all of our dedicated coaches, families and athletes. See you next year. Mrs. Heather Hughes, Royalmont Academy Preschool Director, is excited to announce a new preschool program I Turned Three! Children who turn three any time during the 2016-2017 school year are invited to join this class at the beginning of the month of their birthday, so long as they are potty trained. Each class will be a “pray and play” centered around a Jesus story with songs and crafts. We will meet twice a week 8:30-10:00 AM. A great way to introduce school to your little one for only $25.00 a week! Contact Mrs. Hughes for additional details. 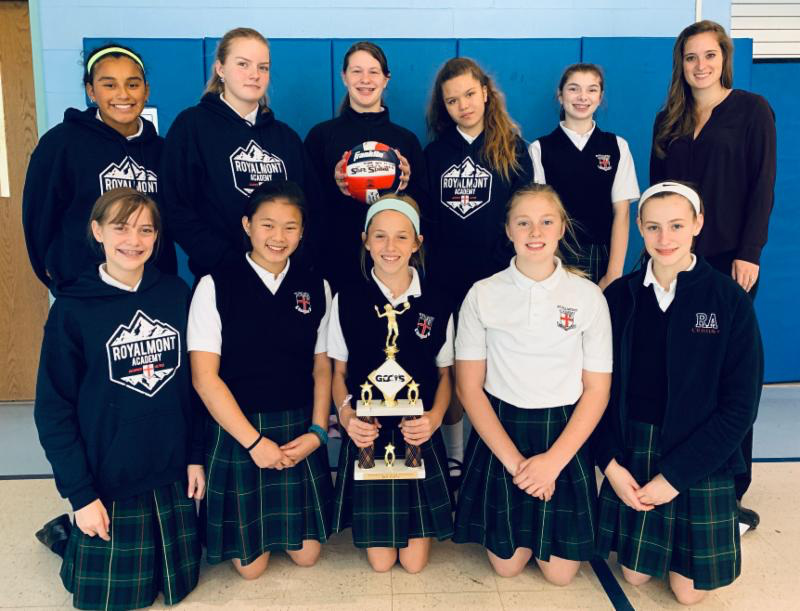 Mrs. Christine Brinkman, Royalmont Academy Athletic Director, is excited to announce an inaugural season for Lady Cristeros High School Volleyball. During the 2016-2017 season, Lady Cristeros will play 13 games and an end of season tournament. Practices will begin in July 2016. Contact Coach Beth Weber for additional details. The National Latin Exam (NLE) was taken on March 8, 2016. We had another year of excellence! Congratulations students!